The Willie Gunn Waddington is very useful in the early season, especially when the water is heavy and the water temperatures are low. 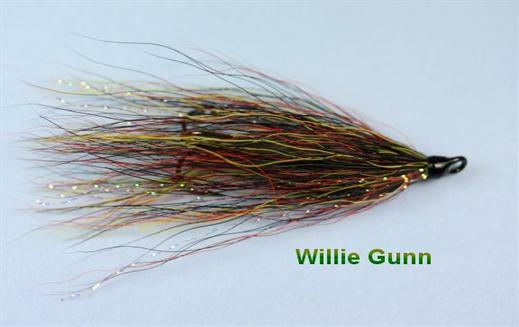 Willie Gunn is a classic "proven" pattern much suited to all rivers in medium to high water. It is excellent when a big fly presented lower in the water is what is required. Currently there are no comments about the Willie Gunn Waddington fly pattern from other fly fishermen yet.